1. Place 1 lb. cucumbers, avocados, lime juice, water, sea salt and pepper into a blender. Puree mixture until smooth. 2. Taste and add more salt &/0r pepper to taste. 3. Transfer soup to a large bowl and chill in the fridge for at least 1 hour. 4. Add 1/4 cup chopped cucumber to mixture and garnish with tomatoes and cilantro. 1. Combine 1st 6 ingredients in a medium bowl. Season with sole fillets with slat and pepper. 2. Dredge sole on both sides with the brown rice flour. 3. Heat olive oil in a skillet over medium-high heat. When pan is very hot, add sole. Cook fillets about 2-3 min. per side. Remove and keep warm. 4. Add tomato mixture to skillet and cook for 2-3 min., stirring occasionally. 5. Place sole on plates and pour tomato mixture over the top. 1. Steam fresh corn for about 5 min. Remove from steamer and cool. Cut off kernels and set aside. If using frozen corn, add to pot with green beans for last minute of steaming. 2. Using same steaming pot, steam green beans for about 4 min. or until they become bright green and tender. Drain water. 3. Add corn and set aside. 4. 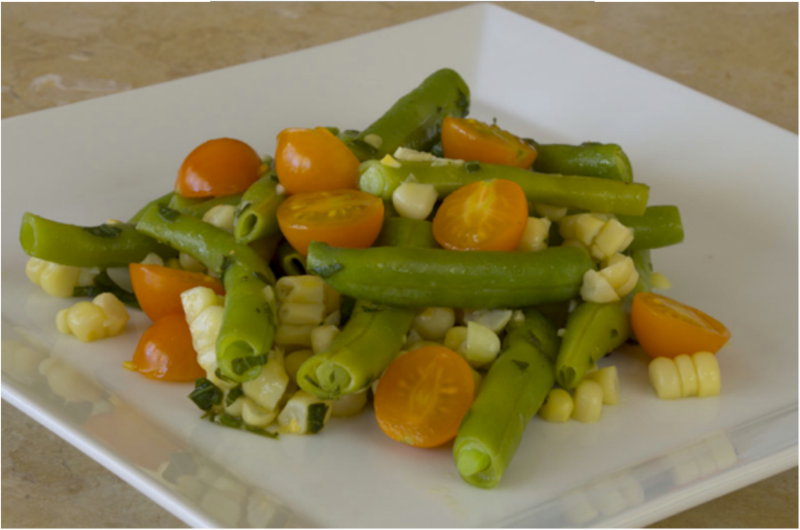 In a small bowl, whisk together the vinaigrette ingredients and pour over the beans and corn. 5. Add tomatoes. Toss and serve. 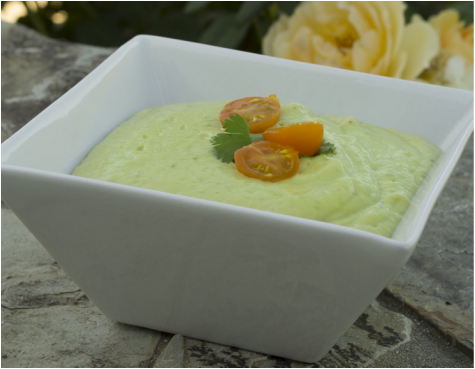 Chilled soups are so refreshing on hot summer days. This easy to make soup is low in cholesterol and sodium. It is rich in vitamin C and vitamin K. It is also a good source of dietary fiber, vitamin B6, folate and potassium. The soup is low on the glycemic index and mildly anti-inflammatory. 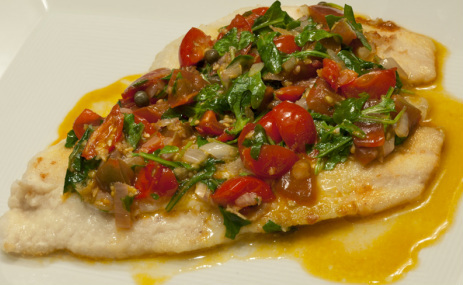 This sole dish with tomato sauce is delicious and great for an evening alone or with company. The cooked tomatoes provide lycopene, an important antioxidant with many health-supporting roles. This dish is strongly anti-inflammatory and is a complete protein as it contains all the necessary amino acids. it is a good source of vitamin C, B12 and phosphorus. It is also a very good source of protein and selenium.